Phytoplankton Dynamics in the North American Great Lakes is the compilation of two volumes, originally published 1996 and 2000. Both volumes provide a thorough treatment of the community structure, function, and dynamics of phytoplankton in the North American Great Lakes and represent the culmination of nearly three decades’ worth of work by Mohiuddin Munawar and Iftekhar F. Munawar. With these volumes, the phycology of the North American Great Lakes has been brought into the new millennium. 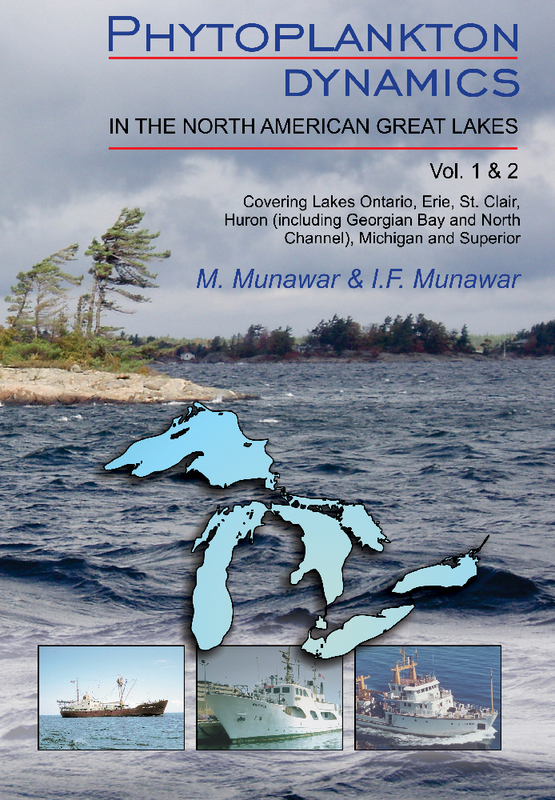 Volume 1 focuses on the Lower Great Lakes—Lakes Ontario and Erie—while volume 2 highlights Lakes Michigan, Huron, and Superior. Phytoplankton Dynamics in the North American Great Lakes also includes a chapter devoted to the integration, summarization, and synthesis of the two volumes’ major findings, as well as a discussion of the current and future status of food-web research in the Great Lakes. I. F. Munawar is a senior phycologist (Plankton Canada) and longtime, well-known researcher on the phytoplankton of the Great Lakes.